Some say soft health care spending is distorting the U.S. personal consumption picture. Aside from the plunge in oil, the head of the central bank this month chose to highlight two culprits for the subdued price environment — medical care and non-market prices — which combined account for about 24 percent of the Fed’s preferred inflation measure. By choosing to focus on two such quirky components, Yellen showed she and most of her colleagues remain confident the unhealthy lack of inflation is only temporary. Officials this month were so sure prices would eventually rise closer to their 2 percent goal that they raised the benchmark interest rate so they wouldn’t have to tighten too quickly once inflation did flare. At least for medical expenses, Yellen is probably onto something. Those costs, which alone make up almost 17 percent of the personal consumption expenditures (PCE) price index that is tracked by the central bank, rose just 0.9 percent in November from a year earlier. That goes a long way to explain why the core price measure, which excludes food and fuel, climbed only 1.3 percent in the past 12 months. So what’s to blame for the slower health-care inflation in 2015? Two years of government increases in reimbursement rates to physicians for Medicaid services, which tend to leak into what the private market charges, expired at the start of the year, said Omair Sharif, rates sales strategist at SG Americas Securities LLC in New York. Economists at Goldman Sachs Group Inc. in New York also wrote last month that they expect medical-care costs to rise early in 2016, in part as the year-over-year comparisons become more favorable and also because of more wage growth in health-care jobs. 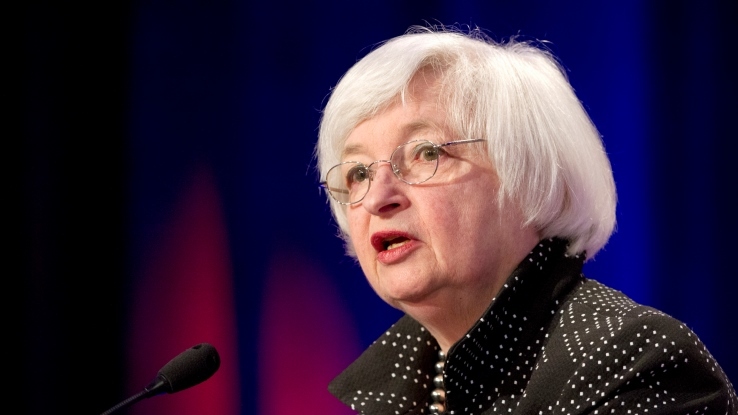 As for non-market prices, which Yellen said “are a little hard to understand,” the Fed chair probably was pointing to a number of imputed costs within the PCE price index that are less directly connected to the sort of supply-and-demand dynamics that would normally cause economists to worry about sluggish inflation. Prices paid for financial services and insurance, for example, have a 7 percent share in the PCE index, so they can easily hold back the figures. That category includes investment advice and more complicated imputed costs such as the difference between interest paid on a checking account and what would be earned if that money was invested in government securities. Costs for these financial services climbed 0.8 percent in November, the biggest gain in eight months, after falling 0.5 percent in October, the most since 2009. Such volatility is easy for policy makers to dismiss. Yellen therefore has reason to believe inflation can make a comeback even as the central back begins to gradually raise interest rates.